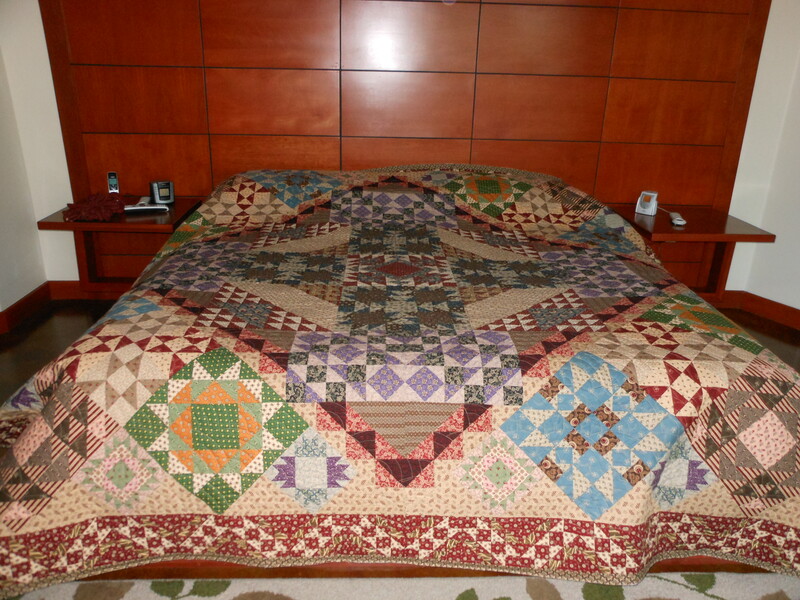 The quilt is HUGE…110 inches square. 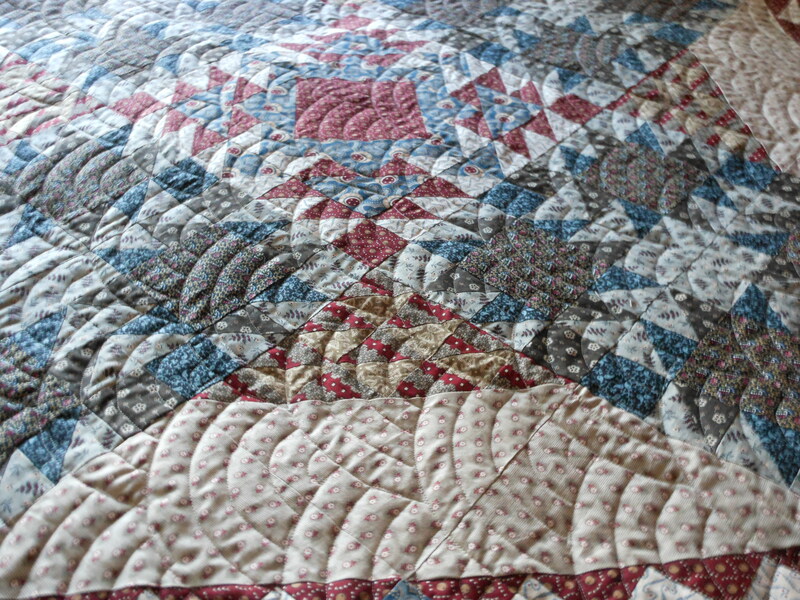 Kathy must have sewn at leat a million half square triangles, a quilting term that is actually unexplainable. 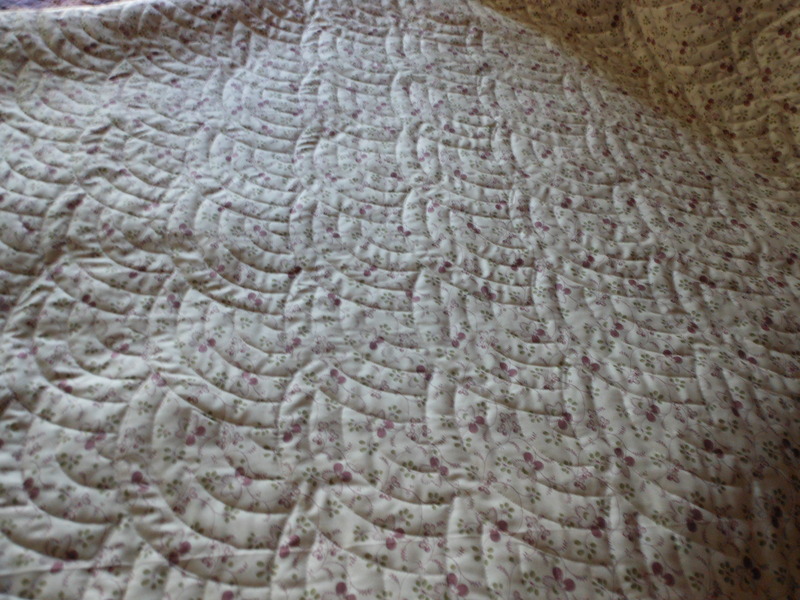 I quilted this, the quilting pattern is called Baptist Fans. It was such an honor to be part of a beautifully made quilt for such a special occasion. « We went to a wedding!